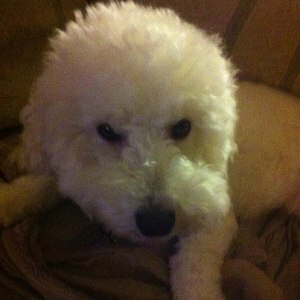 I absolutely love my Bichon Frise, Brady. My kids and husband love him too. I could not imagine anything ever happening to him, especially if it was something that could have been prevented. We make sure that Brady gets his annual check ups, shots, and he is on a healthy diet. Thankfully he is a healthy pooch and I do expect as he ages, that his health will decline due to old age. However, again that will be out of my control if or when it happens. Knowing the fact that he is fed well, is getting his daily exercise, receiving lots of love, and get his check ups, I am doing what I can to be a good dog owner. Oh and wait, one very important thing that I also did for him for his well being is that I got him neutered! That is right! If you have no intention of breeding or showing your pet, for goodness sake get him or her fixed! A lot of people think that fixing their dogs or cats is cruel and wrong! Really? Why? Because the idea of that is a major blow to the human ego. They tend to place themselves into their pet’s paws and think they will be scarred for life. I will tell you right now that your pet will not only forgive you for fixing him or her, but more importantly will not even know that he or she was fixed! So what. Your pet will have a little discomfort for having a surgery and then will recover quite well. I can promise you that. Here are 3 reasons you will want to fix your pets! 1. Controlling the Pet Population– Do you realize there are so many unwanted animals wandering the streets, and then end up being put down in the end because of being neglected? It is because these animals reproduce like crazy. They reproduce so much that their young has a high chance of becoming unwanted, and will end up with a horrible fate. 2. Sparing your Pet from Developing Certain Illnesses– As pets age, they will likely develop conditions like arthritis and there is nothing that can be done to prevent that possibility. However, animals that are fixed will not ever have to deal with further complications such as testicular cancer, ovarian or uterine cancer, even breast cancer. My grandparents had a miniature Schnauzer who was not fixed, and he did succumb to testicular cancer. The sad thing is, it could have been prevented. 3. Your Dog’s Behaviour will be More Predictable– Females that go into heat become extremely aggressive, dominant, nervous, and have a tendency to run off. Not to mention they will bleed and mess up your carpeting! Your male pet that is not neutered will show aggression and dominance as well, and will definitely have a tendency to run off. Now having a pet that is fixed will not guarantee perfect behaviour. Your pet will have his or her off days. That is to be expected. Dogs can snap if annoyed, and cats will hiss whether they are fixed or not. However, animals that are neutered or spayed usually have a more docile and easy temperament. They will also be less likely to run off, and the pet population will be controlled! However, you have to face the fact that these 3 reasons to have your animal fixed are extremely compelling! I agree with this. If you are not intending to breed your dog or cat, why keep it intact? Spaying and neutering will only help you and your pet in the long run.